"Most Recommended Travel Agency to Peru"
Top hotels and small group or private tours. Ancient culture, archaeology, and folklore are the highlights of this tour to two of the Andes’ most visited destinations: Machu Picchu and Lake Titicaca. In the heart of the former Inca Empire, you’ll wander legend-filled lanes in Cusco and you might even encounter a folkloric procession on the Plaza de Armas or any of the Sacred Valley towns. 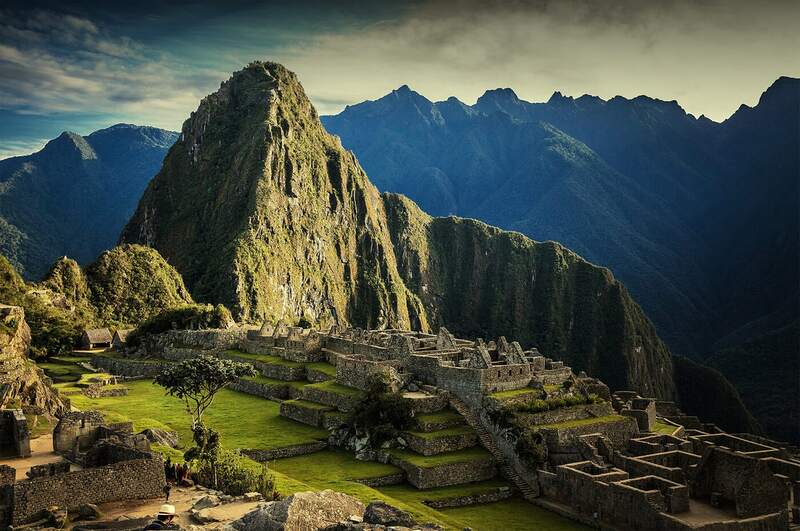 Machu Picchu will take your breath away with the genius of its construction and the beauty of the mountaintop setting. Centuries-old traditions again link up to living cultures in Puno, folkloric capital of Peru and host to the UNESCO-recognized Fiesta de la Virgen de la Candelaria in February. You’ll set sail across the azure waters of Lake Titicaca, tour the floating islands of Uros, and witness how islanders on Taquile maintain the textile-weaving techniques of their ancestors. Arrival at Lima airport. Meet our representative for a transfer to your Lima airport hotel. After breakfast, transfer to the airport for your flights from Arequipa to Lima to Cusco. Upon arrival, meet our representative for a transfer to your Cusco hotel. Be sure to take it easy on this first day at higher altitude. Visit a museum, people-watch on the Plaza de Armas, or find a cafe where you can relax. In the evening, choose among Cusco’s many options for casual or fine dining. This morning you’ll have time to explore Cusco on your own. Visit the Pre-Columbian Art Museum (MAP) or Casa Concha (Machu Picchu Museum). You can also explore the vendor stalls at San Pedro Market or browse artisan workshops and art galleries in the San Blas neighborhood. After lunch, meet your guide for an afternoon tour of Cusco’s must see sights. You’ll start on the Plaza de Armas, where your guide will begin to tell you about the history of South America’s oldest continuously inhabited city. You’ll enter into the Cusco Cathedral, formerly the site of a temple to the Inca creator deity Viracocha and today a treasure trove for religious art produced by native artisans in the years after the Spanish Conquest. You’ll continue to Santo Domingo Monastery, which was also constructed on the site of an Inca temple, Qoricancha or the Temple of the Sun. The building of the church atop the ruins ironically preserved parts of the Inca structures, which were revealed intact after a devastating earthquake in 1950 crumbled the Spanish construction. Next, you’ll visit the Inca ruins outside of Cusco, beginning at the fortress of Sacsayhuaman (site of an important battle between Inca and Spanish troops), and wrapping up the day with stops at Q’enko, Puka Pukara, and Tambomachay. At the end of the tour, you’ll be returned to your hotel in Cusco. Hit the town to see Cusco by night or enjoy a quiet evening in. After breakfast, meet your guide for a tour of the Sacred Valley, which in Inca times was littered with royal palaces and temples and today is renowned for its breathtaking landscapes. Your first stop is Pisac town, with its famous market and impressive hilltop ruins. At the market, your guide will point out local products like potatoes, giant corn, and natural dyes, and you’ll have a chance to browse the souvenir stalls for one-of-a-kind gifts. Next, you’ll drive up the hill to the Pisac ruins, which sprawl across a narrow mountain ridge and most likely protected the southern entrance to the Sacred Valley. You’ll continue down the road to Urubamba and stop for lunch (not included) at a buffet restaurant serving Peruvian specialties. The final stop is in Ollantaytambo, where you’ll climb to the top of the fortress ruins for panoramic views across the former Inca heartland. At the end of the tour, you’ll be dropped of at your hotel in Sacred Valley. Take an early train to Machu Picchu, traveling for 2 hours along a path that follows the banks of the Urubamba River and descends dramatically from the Andean highlands to the cloud forest. On clear days, you can glimpse the glacier-capped peaks that rise over the valley. Upon arrival at the train station, meet our representative for a transfer to the bus stop and the 25-min shuttle ride to the ruins. Meet your guide at the ruins entrance for a 2-hour tour of Machu Picchu. You’ll visit the primary temples and palaces of the Inca citadel and then you’ll have time to explore the ruins on your own. Take an optional hike to the Sun Gate (entrance from the Inca Trail) or to the Inca Bridge. In the late afternoon, return to the train station for the trip back to Cusco. After breakfast, transfer to the bus station for the trip to Puno. (As an alternative, inquire about flight and train options.) The comfortable tourist-class bus includes a stop for lunch and guided visits to archaeological sites along the way. Notable landmarks include the baroque style Andahuaylillas Church, nicknamed the Sistine Chapel of America for its interior frescos; the monumental remains of the Temple of Viracocha at Raqchi, and La Raya Pass at 14,220 feet (4,335 meters). Upon arrival in Puno, meet our representative for a transfer to your hotel in the historic center and spend the rest of the evening at your leisure. Enjoy breakfast and then embark on a full-day tour of the world’s highest navigable lake. First, you’ll visit the floating islands of Uros, handwoven islands made from Totora reeds that perfectly complement the dream-like quality of Lake Titicaca. You’ll meet Uros islanders and learn about their culture and way of life. Next, you’ll sail 30 km across the vast blue waters to Taquile Island. Be forewarned: Taquile is infamous for its rugged topography and the 500 steps that lead from the boat dock into town. Once you’ve tackled the stair challenge, you’ll learn about Taquile’s history as an Inca settlement, a Spanish colonial prison, and a modern example of community-based tourism. Then you'll hike across the island for incredible views over the lake. Enjoy lunch (not included) and then begin the trip back to Puno. Upon arrival in Puno, spend a quiet evening at your hotel or head into town to partake of the nightlife on the Plaza de Armas. Enjoy one last sunrise over Lake Titicaca, then meet our representative for a transfer to the airport and the start of your journey back home. Budget tours are designed to offer the best value and comfort possible, and have some variations compared to our 3, 4, and 5-star packages. Call or email us to learn more about our Budget tours. We specialize in complete travel packages that allow you to enjoy your travels while we handle the logistics. Services are available as part of a full itinerary (3-days or more) including all hotels, tours and ground transportation. © 2019 Peruforless LLC - All rights reserved.